Hundreds of people braved the cold and snow to attend Montreal's annual memorial event honouring the 14 women who were killed at École Polytechnique on Dec. 6, 1989. 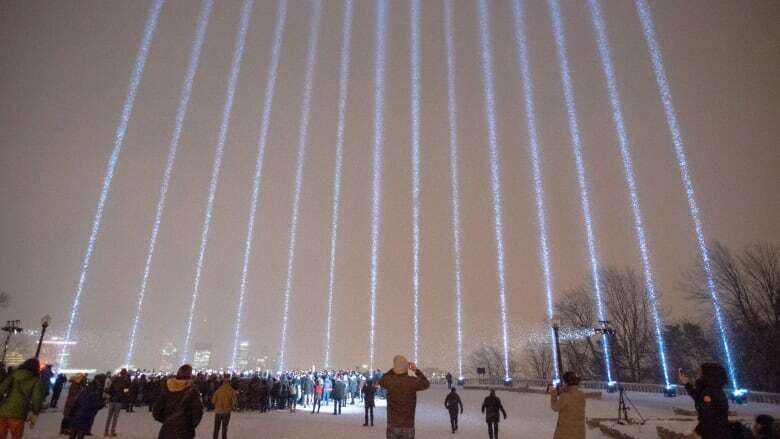 Fourteen beams of light — one for each of the victims — illuminated the Montreal skyline between 5 p.m. and 10 p.m.
Prime Minister Justin Trudeau, Quebec Premier François Legault and Montreal Mayor Valérie Plante attended the event marking the 29th anniversary of the women's deaths, along with survivors of the shooting and friends and family of the victims. Following the lighting at the Mount Royal belvedere, wreaths were laid in memory of the women and a minute of silence was held. Plante said after the ceremony that this event is very important for Montrealers who want to reflect and heal together. "It's a special moment where we come to Mount Royal and look at the lights," she said in French. "We're on the mountain but you can see them from across the city. It's important for us to come here because people want to, and need to, be together and to remember these 14 women who were killed because they were women." The anniversary coincides with the National Day of Remembrance and Action on Violence Against Women. Catherine Bergeron, whose sister Geneviève was killed in the attack, told CBC News that year after year, this memorial means a lot to her and her family. "For me, it's very important to remember my sister Geneviève, who died 29 years ago," she said. "It's the perfect way to remember my sister, who was the sun and the light for me." 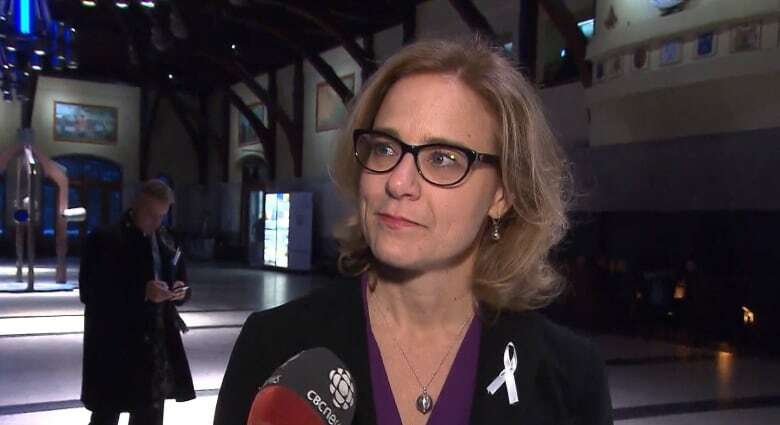 Bergeron said that unfortunately violence against women is not a thing of the past, and there is still a long fight ahead. "I think as a society we have to remember what happened 29 years ago to keep trying to do better," she said.